We’ve got the best I.E. event promotions in Southern California, and we’re not talking about Internet Explorer! 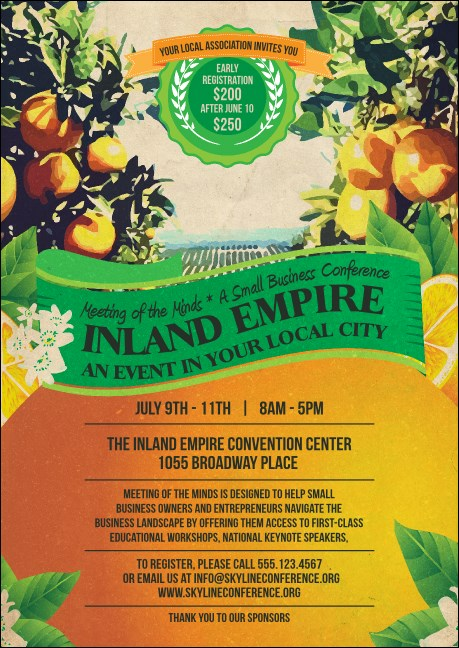 Discover the difference between LA and the Riverside-San Bernardino area when you print bright orange and green Inland Empire Postcards and send them out to your guest list in advance. Make your empire come alive at TicketPrinting.com.